The American War is one of the most popular periods to wargame, and rightly so - it is a fascinating period of history. This book offers the opportunity to learn how to paint wargames miniatures from someone who has been an experienced sculptor and painter. All of the main styles that are used for painting wargames miniatures are covered in great detail. For anyone wanting to start painting for the first time, these pages contain a wealth of information that will help you get started. The book covers: miniature preparation; layer painting; painting with washes; basing; horses and artillery and buildings and scenery. 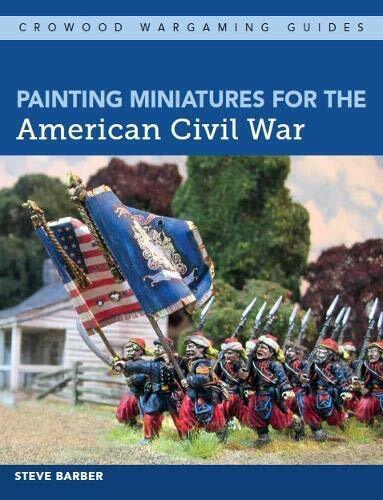 Each chapter is full of detailed step-by-step tutorials on how to paint wargames miniatures for the American Civil War.